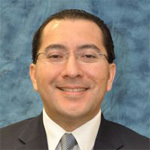 Dr. Julio Romero Agüero is is Director of Distribution and Principal Advisor at Quanta Technology, Raleigh, NC. He has over 16 years of experience working with electric utilities and regulatory boards in the USA, Canada, Latin America, the Caribbean and Asia. His areas of expertise are planning, analysis and operation of power distribution systems, smart grid, and integration of Distributed Energy Resources. He received his PhD in Electrical Engineering from National University of San Juan, Argentina. He is former Commissioner of the National Energy Commission of Honduras, Editor of IEEE Transactions on Smart Grid, Vice Chair of the IEEE Distribution Subcommittee, Secretary of the IEEE Working Group on Distributed Resources Integration, Secretary of the IEEE Working Group on Modern and Future Distribution Systems Planning and Senior Member of the IEEE.